JAMES NAPER (fourth son of Sir Samuel Naper MP, of Moor Crichel, Dorset, and grandson of Sir Robert Napier, Chief Baron of the Irish Exchequer, 1593), High Sheriff of County Meath, 1671, married Dorothy, daughter of Sir Anthony Petty, of Romsey, Hampshire, and sister of the celebrated Sir William Petty, ancestor of the Marquess of Lansdowne. JAMES LENOX NAPER (1712-66), of Loughcrew, High Sheriff of County Meath, 1740, assumed the surname and arms of DUTTON. John, who died unmarried, 1771. WILLIAM LENOX NAPER MC JP DL (1879-1942), of Loughcrew, who wedded, in 1902, Adela Mary Charlotte, eldest daughter of Colonel the Hon W R Trefusis CB, Scots Guards, and Lady Mary Trefusis. THE NAPER ESTATES eventually grew to 180,000 acres in counties Meath, Westmeath and Cavan, helped by the Colonel`s marriage to the sister of Sir William Petty, a senior Dublin Castle official. James Lennox William Naper (1791-1868) commissioned the building of Loughcrew House in 1823, a year after he was appointed High Sheriff of Meath. A busy landlord and writer, he served as chairman of the Poor Law Guardians during the Famine years and subsidised the emigration of tenants to Canada in the 1830s. His son, James Lenox Naper, also served as High Sheriff and was a major in the Meath Militia while also enduring the first major fire at Loughcrew House in 1888. His son, William Lenox Naper, was awarded the Military Cross for services in the Royal Horse Guard during World War One but he died without issue and his widow Adela married the colourful adventurer, Rodney Matthews in 1946. His spending seriously impacted on the estate before he disappeared in his plane in the Irish Sea in 1953. A cousin of William Lenox, Merrick Naper, died in Africa that same year before he could inherit and Merrick`s brother, Nigel, inherited the 1,500-acre estate before suffering two major fires in the house in 1959 and 1964. The Irish Land Commission took 600 acres of the estate in 1967 and it was divided between his three sons on Nigel`s death in 1978. Emily and Charles Naper have converted the old conservatory, pavilions, servant quarters and stables into the current living area, school of gilding and studio area. Emily Jane Dashwood was born in 1958, eldest child of Sir Francis John Vernon Hereward Dashwood Bt (Premier Baronet of Great Britain). She married Charles William Lennox Naper in 1981. They have revived the 17th century gardens and established Loughcrew Garden Opera. LOUGHCREW, Oldcastle, County Meath, today comprises the vestiges of Loughcrew House, the Gardens, ancillary accommodation and about 200 acres of parkland and grounds. Loughcrew Garden Opera has been holding operas and concerts in the grounds of the estate since 2000 during the summer months, which has proved immensely popular. Weddings, exhibitions and craft workshops have also been held in the large rooms within the courtyard buildings. Remaining within the Naper family from the 17th Century to the present day, Loughcrew has had a turbulent and fascinating history. Originally the seat of the Plunkett family, its most famous member being St Oliver Plunkett, whose church still remains today on the estate, the first Loughcrew House was built in the 1600s by the Naper family, where the current formal gardens exist, amidst an awesome 180,000 acre estate. Subsequently destroyed by fire, the next Loughcrew House was designed by Charles Cockerel in 1821 for the Naper family. In 1964 this house, too, was destroyed by fire and all that remains today is the giant portico, rebuilt and free-standing as a modern day folly, and a hard tennis court within the old footprint. 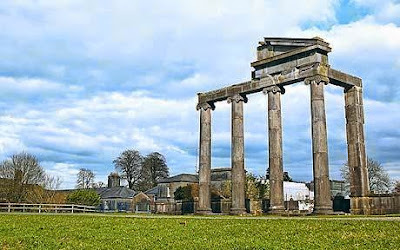 Mark Bence Jones, in his guide to Irish Country Houses, describes the vast stones and fallen capitals of the 1820's neo-classical house, designed by Cockerell, once strewn about the ground like the remains of some lost city of antiquity. The current house grew out of The Garden House, a large and interesting stone building attached to the original courtyards, unusual in its design, and which used to house an array of flora and exotic plant-life. The rooms that make up the house were in fact originally the palm houses, the azalea houses and the furnace rooms. It currently comprises two principal reception rooms, including a particularly fine drawing-room, two sun-rooms, kitchen, five bedrooms, a basement, and a guest wing with three further bedrooms. 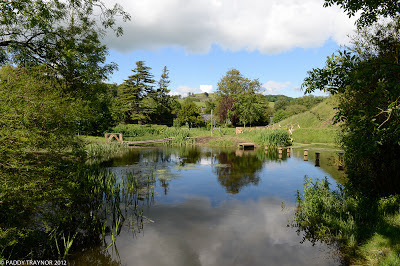 LOUGHCREW GARDENS have been created by generations of the Naper family since the 1660s. The Gardens are open to the public for a number of months during the year. The result is a stunning combination of vistas, with water and archaeological features and many unusual trees, shrubs and flowers. A host of enchanting features are displayed in a setting steeped in atmosphere and history, including a medieval motte and the ruins of Saint Oliver Plunkett's family church and tower house. The surviving 17th century features include a magnificent yew walk, foundations of a longhouse and a walled garden from which a canal and a parterre have been relocated in replica. In the 19th century these earlier elements were enveloped in a comprehensive development of parkland, water gardens, specimen trees, follies, rockeries, wood walks and magnificent vistas. The central area of approximately six acres now includes a lime avenue, extensive lawns and terraces, magnificent herbaceous border, ‘Grotesque Rockery and Grotto’, Hellfire garden, watermill, fountain, and symbolic statues and sculptures. A large, log-cabin-style visitor centre with car park is located at the entrance to the gardens. This contains a spacious coffee shop on the ground floor with small kitchen and lavatories. A covered decked area provides outdoor seating. On the first floor is a large room for a crèche or craft centre with lavatories. First published in June, 2011. Hi Tim, if you get a chance to visit don't miss the Loughcrew Cairns. The best of these is a passage tomb aligned to the Spring/Autumn equinoxes. You can borrow the key from Loughcrew Gardens and have free access to the megalithic art. 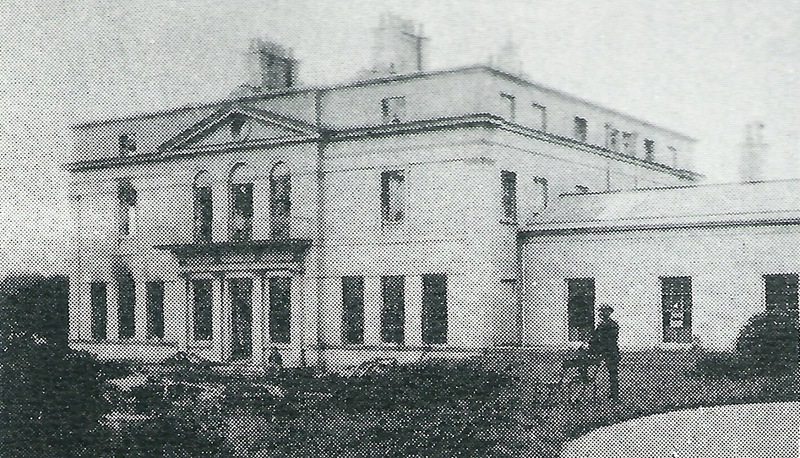 Tim, the relationship of Oliver Plunkett with the Earls of Fingall and Lord Dunsany is tenuous on his father's side but his mother was Thomasina Dillon, granddaughter of Sir Lucas Dillon and Jane Bathe, she was niece of the Earl of Roscommon and a first cousin of the first Earl of Fingall.